Nothing compares to sharing a drink with your better half. 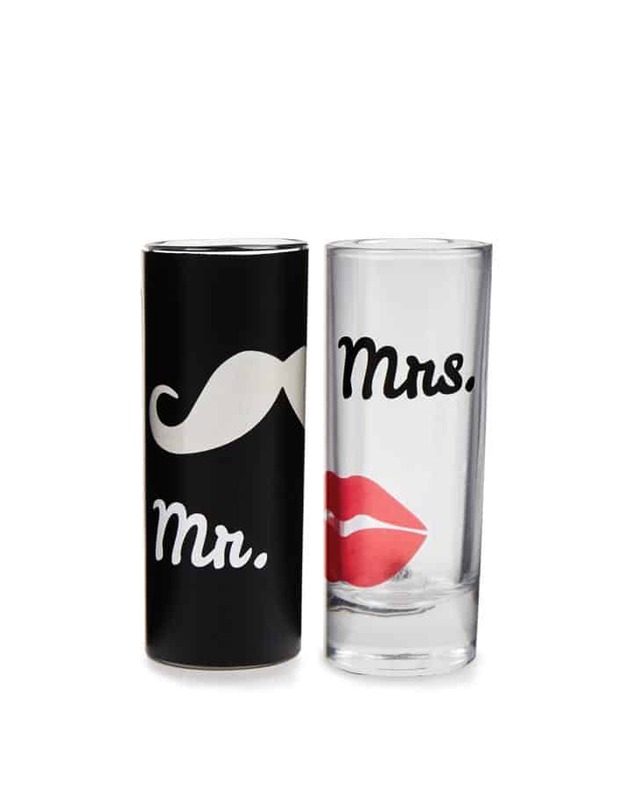 The whole party will know they are yours and you are theirs with the Mr & Mrs shot set. Each set includes two 2.5 fl. oz. 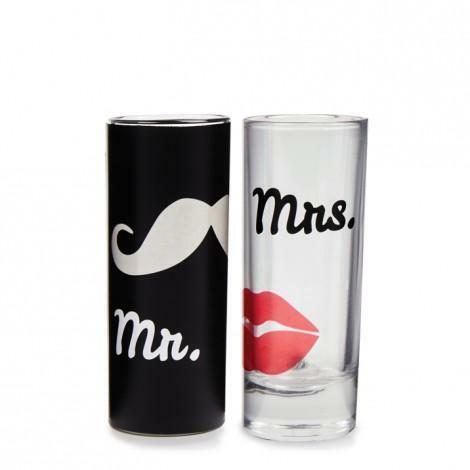 glasses, one black, with a handsome mustache, the other clear, sporting a classic kiss.